Edited by Yoshinobu Eishi . Sarcoidosis is one of the best-known systemic granulomatous diseases. 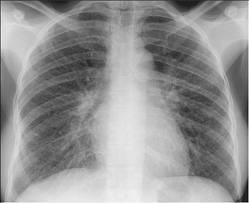 Despite intensive investigation, however, the etiology of sarcoidosis has remained unresolved for more than 100 years . Sarcoidosis seems to result from the exposure of a genetically susceptible subject to an environmental agent, and microbial etiologies of sarcoidosis have long been considered based on the clinical similarities to infectious granulomatous diseases . Several epidemiologic mechanisms may underlie the association of an infective agent or agents with the etiology of sarcoidosis, including spatial, seasonal, and occupational clustering . The results of the ACCESS (A Case Control Etiologic Study of Sarcoidosis) study support an association between selected microbially-rich environments and sarcoidosis . Mycobacterial and propionibacterial organisms are the most commonly implicated etiologic agents based on studies indicating the detection by polymerase chain reaction (PCR) of microbial DNA from these organisms in tissues from sarcoid patients around the world [5-7]. Different studies have produced considerably varying results, however, with microbial DNA detected in 0% to 80% of sarcoidosis tissues and in 0% to more than 30% of control tissues [8, 9]. The failure to detect microbial DNA from these organisms in samples from some sarcoid patients suggests other causes of sarcoidosis in those patients, whereas detection of the microbial DNA in some control samples suggests latent infection of the bacterium. Immune responses against microbial antigens from these organisms, such as ESAT-6 and KatG peptides from Mycobacterium tuberculosis and a recombinant trigger-factor protein from Propionibacterium acnes, have been examined in sarcoid patients and control subjects [10, 11]. Immune responses are frequently detected in sarcoid patients as well as in some non-sarcoid patients and healthy subjects. Latent infection by these organisms complicates the interpretation of the results of these immunologic studies. Unless microbial antigens that cause a specific immune response found only in sarcoid patients can be used to stimulate an immune response, immunologic approaches will not be sufficient to unequivocally confirm that these organisms are causative. Granuloma formation results from the persistence of a nondegradable product or a hypersensitivity response . The two mechanisms overlap in most infectious diseases because microorganisms act as both foreign bodies and antigens to induce immunologic responses. Granulomas serve as protective mechanism to sequester and degrade the invading agent. The pathologic hallmark of sarcoidosis is an epithelioid cell granuloma, thus some etiologic agent of sarcoidosis must be present or have been present within the sarcoid granuloma. Histopathologic studies are therefore essential to demonstrate mycobacterial or propionibacterial organisms or antigens within sarcoid granulomas to demonstrate an etiologic link between sarcoidosis and these organisms. P. acnes is so far the only microorganism isolated from sarcoid lesions by bacterial culture [13, 14]. P. acnes is an anaerobic, non-spore-forming, gram-positive rod bacterium indigenous to the skin and mucosal surfaces. A series of Japanese studies has provided accumulating evidence for a role of P. acnes in sarcoidosis. In this review, we propose mechanisms of granuloma formation in response to this indigenous bacterium in subjects with sarcoidosis based on our results obtained using histopathological and experimental approaches, and introduce a new concept of infectious disease in which endogenous infection is caused by indigenous bacteria.